It’s not every day that you get to ride a horse through a supervolcano. Yesterday was that kind of day. 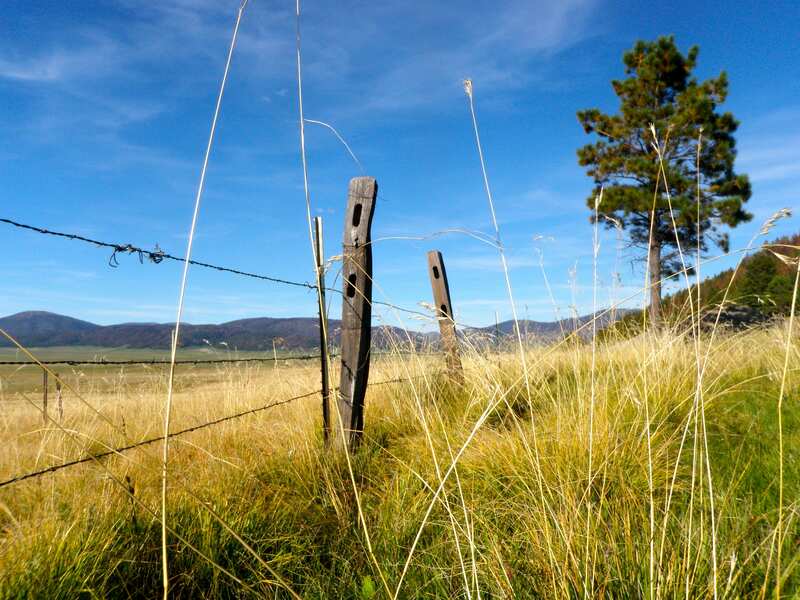 At first glance, Valles Caldera in northern New Mexico’s Jemez Mountains looks like a vast, peaceful grassy meadow. Look closer and you’ll notice the valley is shaped like a giant bowl, with a few suspicious mounds. The bowl is actually a 12-mile wide crater and the mounds are rising resurgent lava domes. This giant caldera, one of the three supervolcanoes in the United States, is still active. Far below the idyllic grasslands lies a seething magma field. Around 1.2 million years ago, this cauldron exploded, releasing massive amounts of ash, which hardened into volcanic tuff. 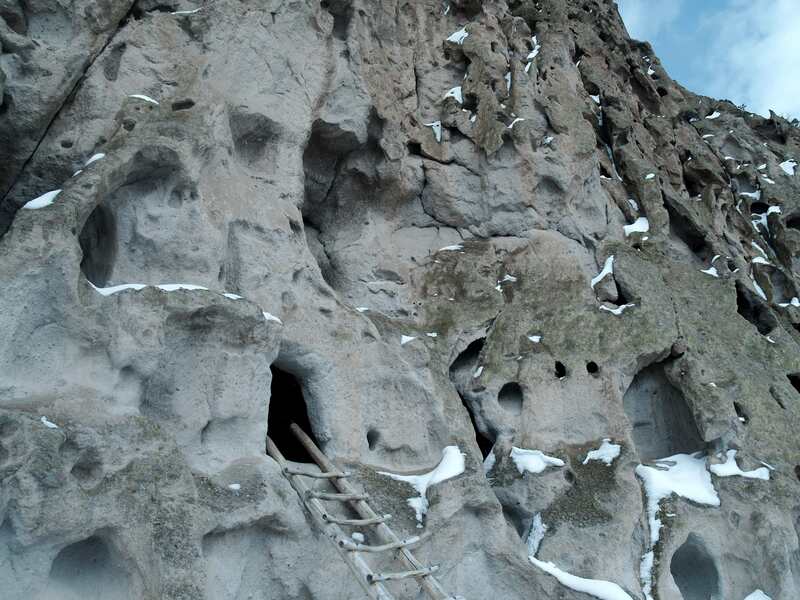 This crumbly grey rock can be seen all over the Jemez Mountains, including at Bandelier and Tent Rocks National Monuments. 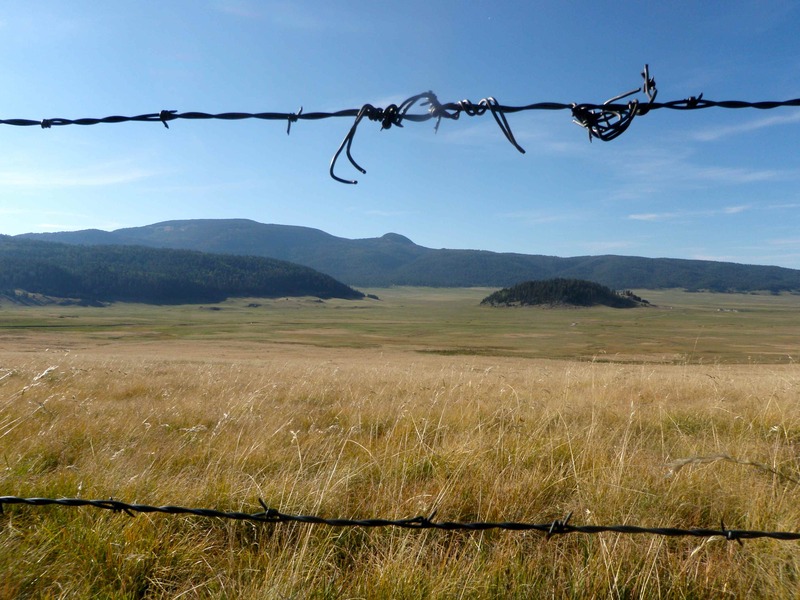 Today the Valles Caldera is owned by the federal government and managed by the Valles Caldera National Preserve. Access is limited to the general public by a permit system, which keeps visitors low and the preserve quiet. This summer, large parts of the preserve were closed to visitors due to fire danger after large swaths of the caldera and surrounding mountains were scorched in the Los Conchas fire in June and July. 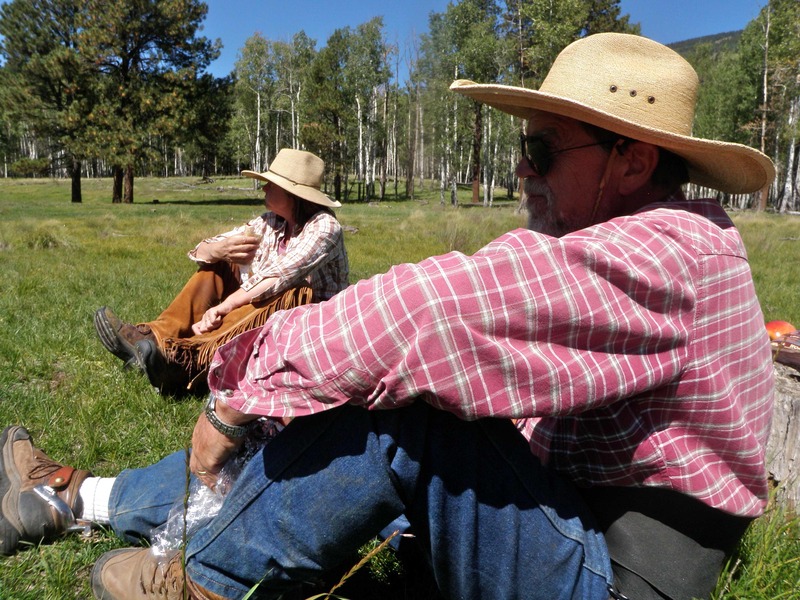 A few weeks ago, the preserve announced it would be reopening some of its horse trails and my neighbors Piet and Dominique jumped to secure three permits. Friday morning, I met them at the Blanco Bonito Staging Area for an all day trail ride. 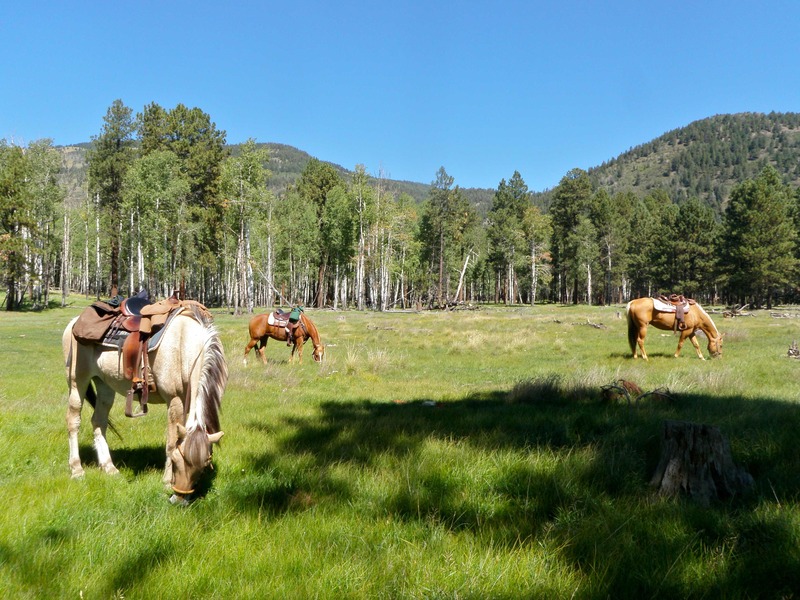 We had perfect weather, saw only a handful of other horse and riders, and a lot of wildlife, including a bear, coyote, deer and elk. 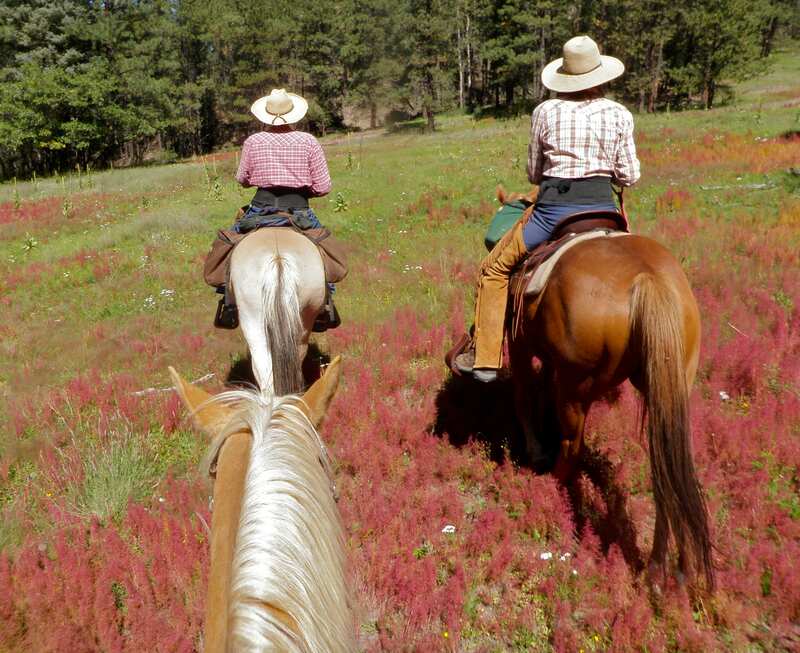 Riding all day, we saw only a tiny corner of the 95,000 acre preserve and we’re already planning a return trip! Lunch spot self portrait with my (mostly) trusty mount GB! Click here for more pix! 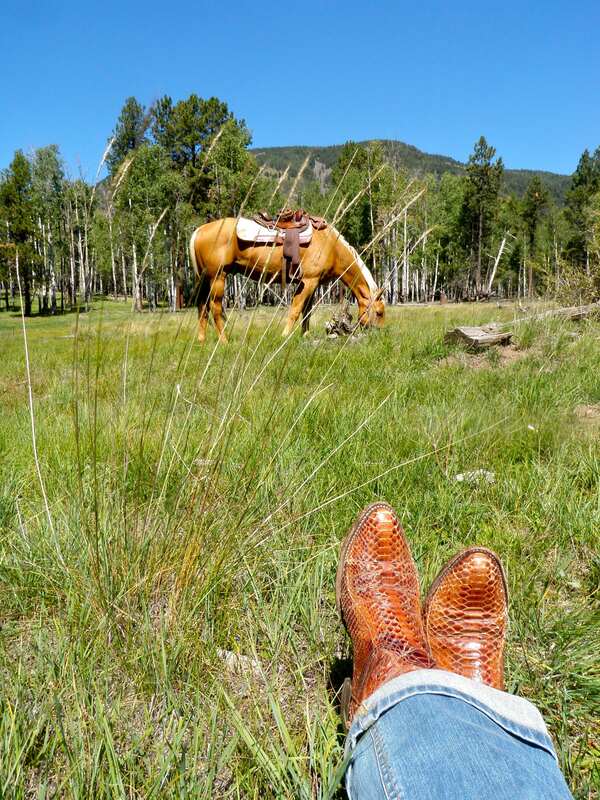 This entry was posted in Cowboys & Horses, Hiking!, New Mexico, Photography, Uncategorized and tagged horses, Jemez Mountains, New Mexico, supervolcano, trail ride, valles caldera. Bookmark the permalink. 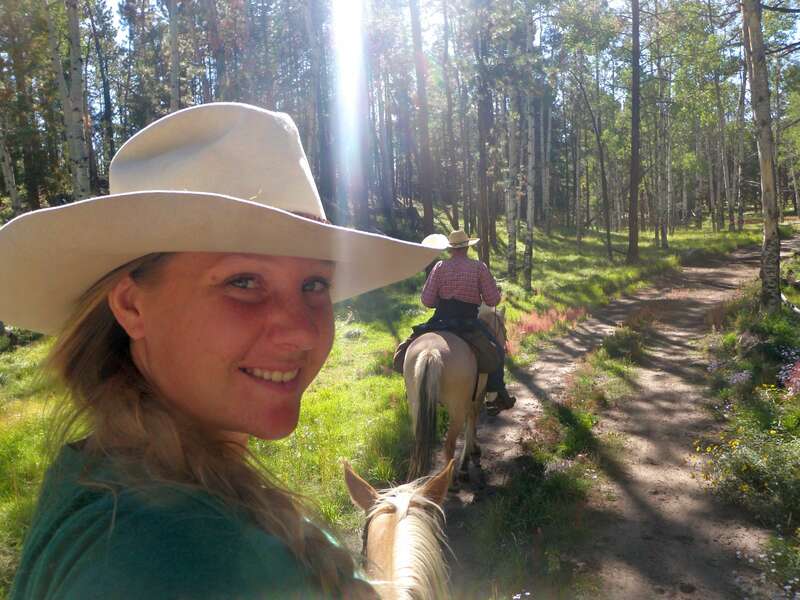 3 Responses to Supervolcano Trail Ride!